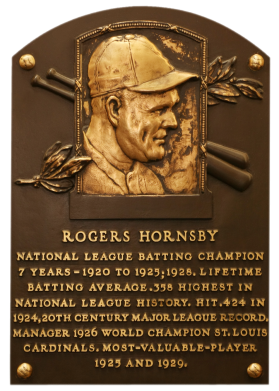 Perhaps the greatest righthanded hitter of all-time, Hornsby's career .358 average is second only to Ty Cobb's .366. "Rajah's" .424 mark in 1924 is the best of the century. His greatest success came with the Cardinals; from 1920 to 1925 he collected six straight batting titles, as well as two Triple Crowns. Rogers Hornsby's fierce demeanor made him one of the most disliked players of his time. Comments: My Hornsby run started with a tribute card - a raw 1977 Shakey's Pizza in May, 2002. It was submitted to PSA a couple months later and got a NM-MT 8 rating. It's a pretty cool item with a great shot of Hornsby grinning. In March, 2005 I won an issue contemporary to his career - a raw 1928 R315 via eBay. I upgraded to a PSA 5 in April, 2005 after finding the card on Jeff Britton's website. At some point thereafter I upgraded to a PSA 7. 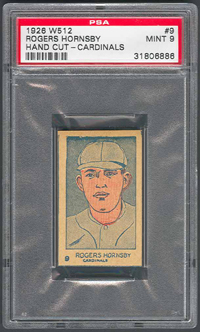 But, in March, 2007 I decided to swap the card out for a different type - a 1926 W512 PSA 3. I liked the Hack Wilson card better than the Hornbsy card in the 1928 R315 set; and didn't own a W512. In August, 2007 I upgraded to this MINT example when I won the card in a Mile High Card Company auction. 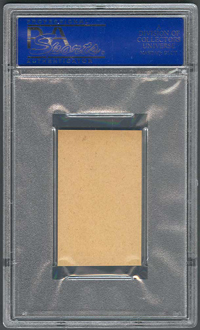 Description: One of the many "strip card" sets of the period, the W512 set was initially issued in 1926 and includes 10 baseball players among its 60 cards. Also featured are boxers, golfers, tennis players, aviators, movie stars, and other celebrities. 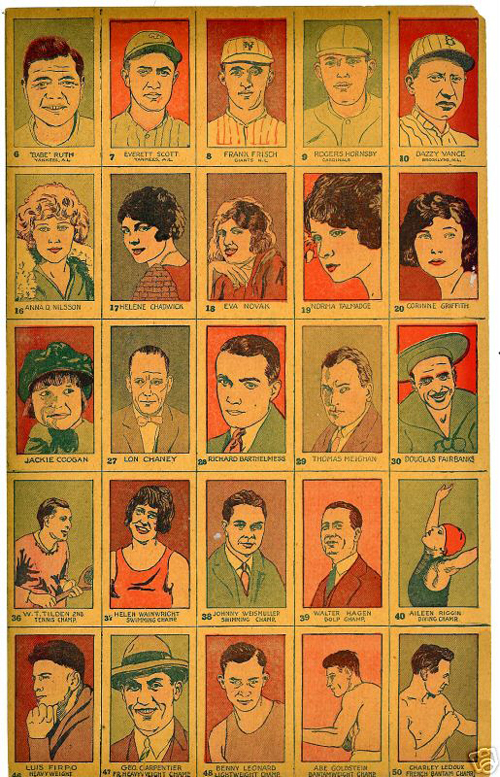 The 1-3/8" X 2-1/4" cards feature crude color drawings of the subjects with their names below. A card number appears in the lower-left corner. Baseball players lead off the set and are numbered from 1 to 10. 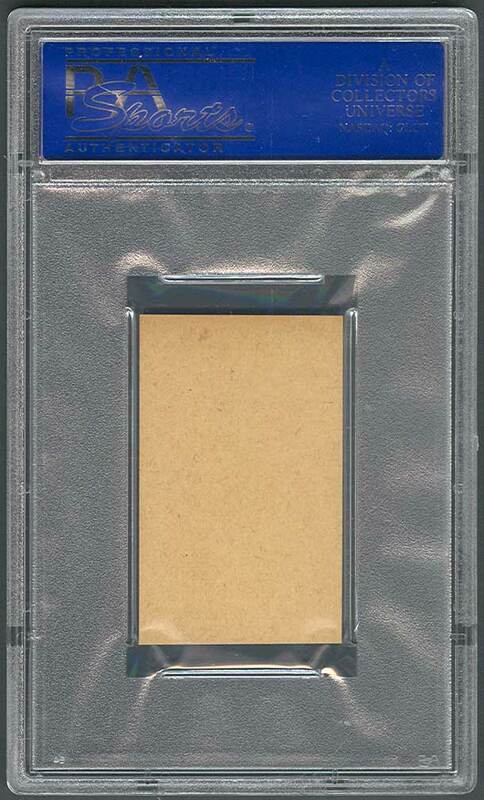 Like most strip cards, they have blank backs. At least four of the baseball player cards have been found in a second type, on which the team name is presented in a typewriter style font on the second line; these changes reflect player status as of 1927.